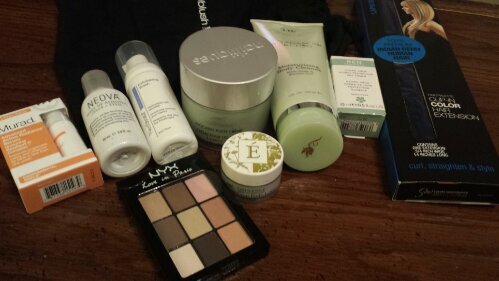 ← Ipsy Glambag ~ December Spoilers & My Bag Contents! 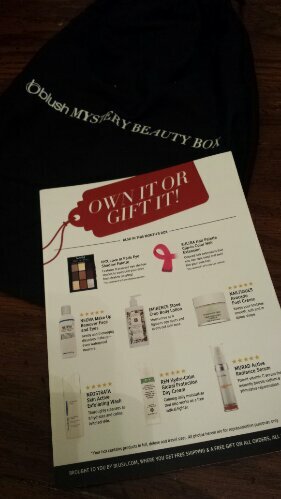 So, although I posted about all the Blush Mystery Box spoilers here, I still wanted to show you all the contents of my box! The curator this month was Lisa Hoffman, the Founder and CEO of Lisa Hoffman Beauty. They included an information card with some details on curator Lisa Hoffman, as well as all the products we received. 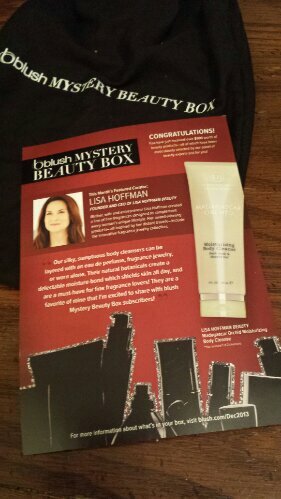 Out of the two options, I got the Lisa Hoffman Orchid Moisturizing Body Cleanse, which was the one I wanted! It smells floral and makes great bubbles for a bath, and this bottle is also huge, so I know it will last a while for me. 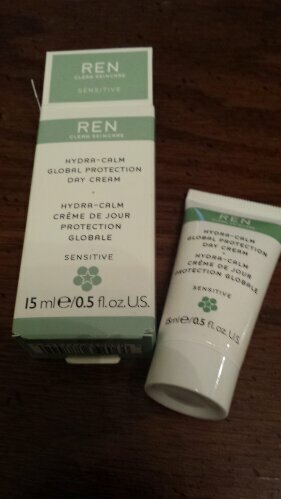 Here we have REN Hydra-Calm Global Protection Day Cream, which is a calming daily moisturizer that fights against free radicals. 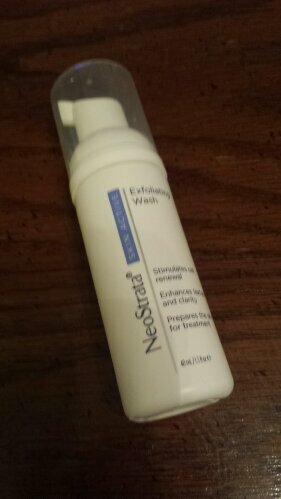 This deluxe sample is good for a travel bag, however I have a TON of day creams and moisturizers so I have a feeling I won’t be using it for a while (full size worth $55). Next is a deluxe sample of Murad Active Radiance Serum, a potent vitamin C serum that instantly boosts radiance and stimulates rejuvenation (full size worth $89). 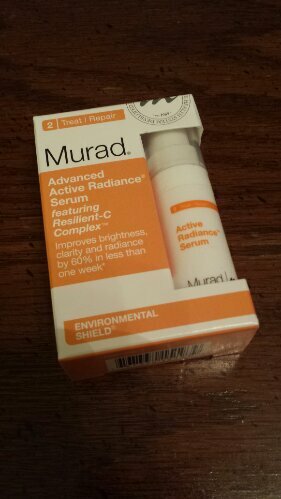 I’ve used Murad products before and am a fan, so I’m sure this one will be just as great. 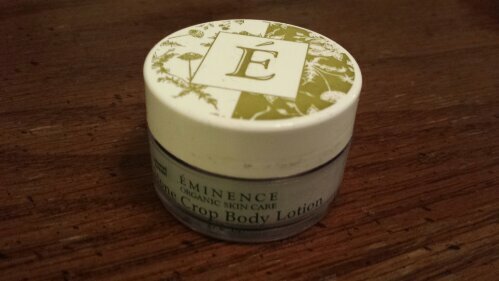 Here we have Eminence Stone Crop Body Lotion, a lotion which moisturizes as it lightens age spots and evens out skin tone. 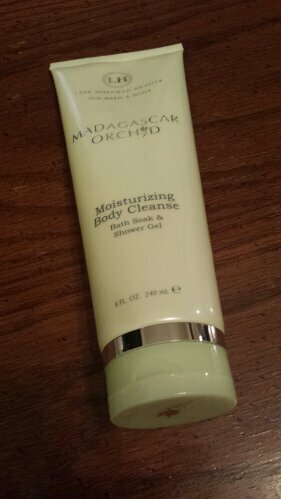 I’m feeling a bit overwhelmed with lotions and creams, but I’ve used other products from this brand, so hopefully this one will work just as well (full size worth $32). 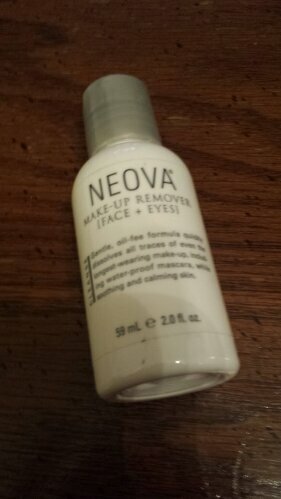 Here we have NEOVA Make Up Remover Face and Eyes, which gently and thoroughly dissolves makeup—even waterproof mascara (full size worth $18). 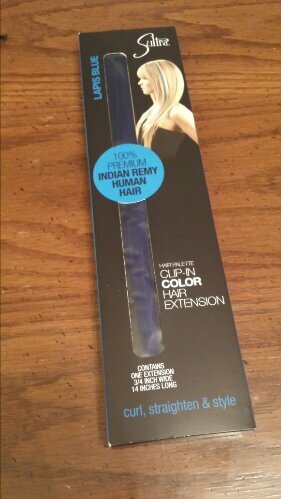 I received a bold blue Sultra Hair Palette Clip-In Color Hair Extension. I’m not a huge fan of the color (as I would have rathered a pink or purple) however it is definitely better than green or orange. It’s also made from real hair, so it curls and straightens with an iron. 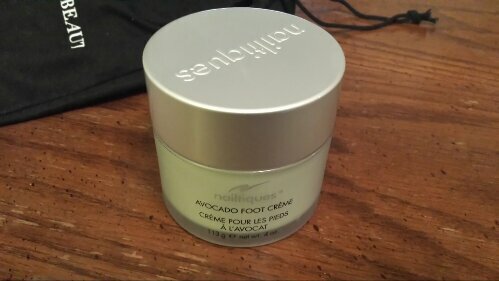 This NAILTIQUES Avocado Foot Creme is a HUGE jar of foot cream to help keeps your tootsies smooth, soft and safe during the harsh winter cold (full size worth $15). 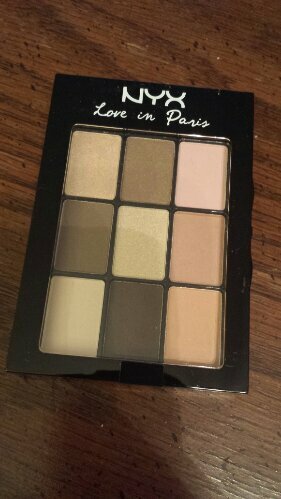 I’m actually really happy with the colors that came in my NYX Love in Paris Eye Shadow Palette. The 9 assorted eye shadow shades range from tan to brown and are perfect for a natural look (full size worth $10). 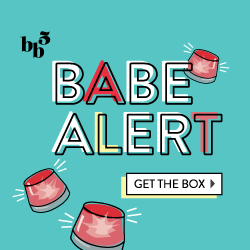 All in all… here are my thoughts on the December Blush Mystery Box: While I love getting new facial exfoliating products and cleansers, I am overwhelmed with the quantity of these day lotions/daily moisturizers, body lotions and food creams. It’s like we get at least one each month, and it’s impossible to use up each one. 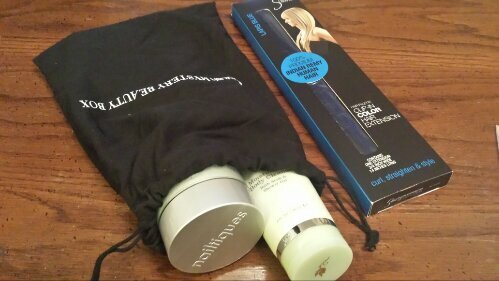 I would prefer if Blush would mix it up and send out some different or unique products like facial masks, bath bombs, mascara/eyeliner, lipstick, a great brand of hydrating chapstick or lip treatment and some new and exciting hair products.